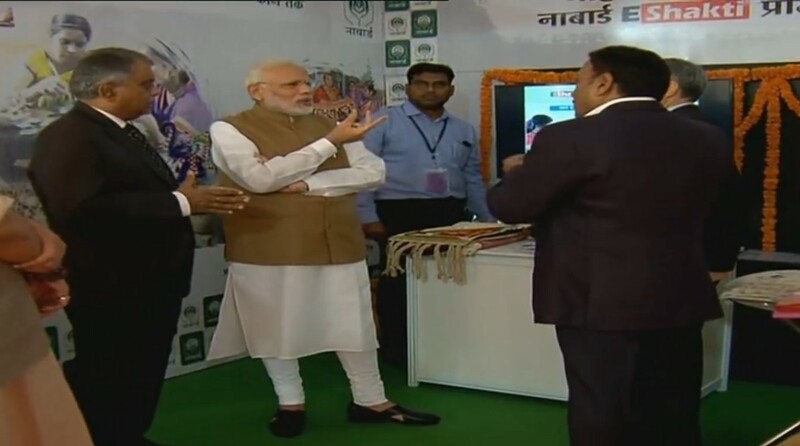 Hon’ble Prime Minister visited NABARD’s stall at the venue of ‘Seminar on MSMEs - Support and Outreach’ at Vigyan Bhavan, New Delhi on 02 November 2018. Dr Harsh Kumar Bhanwala, Chairman, NABARD welcomed the Hon’ble Prime Minister and briefed him about NABARD initiatives and financial support for the development of Agriculture and Rural Sectors. NABARD’s support to rural economy grew by 60% during past 4 years. The credit flow to agriculture has increased by 61% during last four years and the share of long term credit in total agriculture credit went up from 25% to 35%. NABARD has provided financial support to various initiatives undertaken by Government of India in last 2 years viz. Pradhan Mantri Krishi Sinchayee Yojana, Pradhan Mantri Awaas Yojana – Gramin, Swachha Bharat Mission, Dairy Infrastructure Development Fund and Food Processing Fund. Further, during past 4 years, Rural Infrastructure Development Fund support of Rs.1,11,796 crore was provided for supporting rural infrastructure. 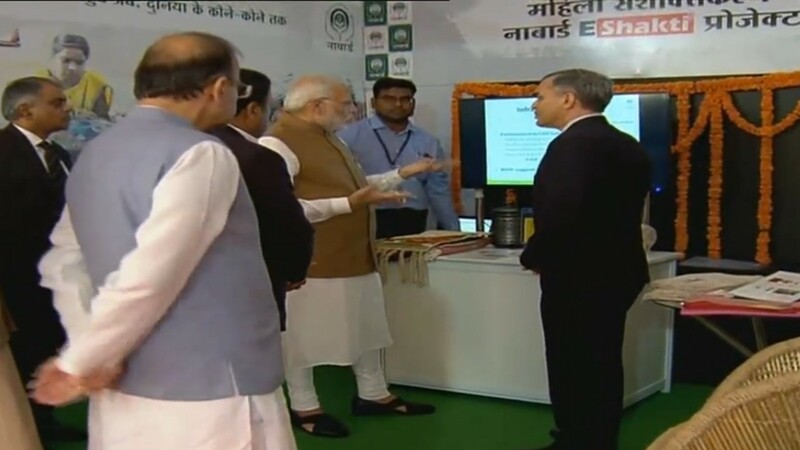 The main theme of NABARD stall was E Shakti, NABARD’s pilot initiative for digitising the Self Help Groups, SHG members as ‘Bank Sakhi’ - business correspondents for banks, besides various initiatives for promotion of skills, market linkages and Geographic Indications Tags for rural arts and crafts.